Joined - Optical Table Top - 48" x 96" x 8.3"
Home > Optical Tables -- (USA) > Joined - Optical Table Top - 48" x 96" x 8.3"
VERE Optical Breadboards are 1/8" thick Ferromagnetic Steel skins laminated to a nonmetallic honeycomb core. Our breadboards have greater than 50% direct core to metal skin lamination providing a strong bond and static rigidity. 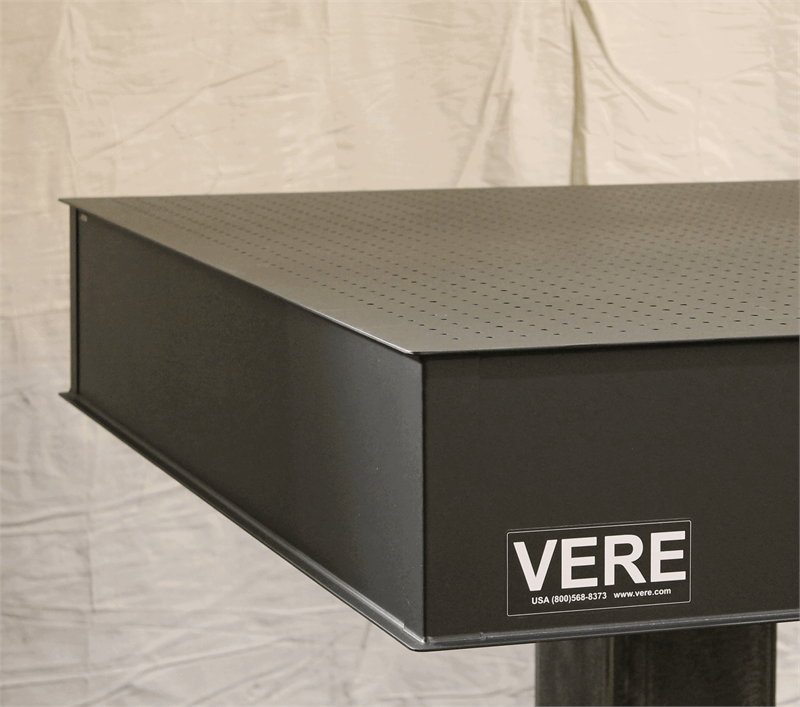 The core has 3/8" honeycomb cells with inherent broadband energy absorption, eliminating the need for additional internal dampers to suppress the resonance found in metal cores. Holes are sealed with a polymeric film that punctures when used, allowing the full depth of the breadboard to be used. Flatness (top surface): .010" over 1' with .030" over the total length. Entire breadboard coated in a black anti-reflective finish. Self damping side panels. Featuring Tapped 1/4-20 holes on a grid spaced 1"center to center. The grid will be continuous across the completed table. 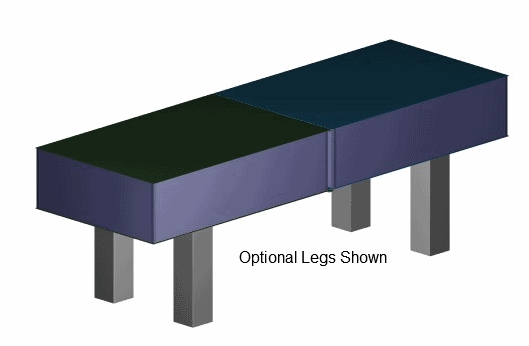 Joined Optical Tables are ideal for situations where the Lab needs a certain length (or width) but it is not feasible to move such a product to the site. Elevator or Hallway restrictions, i.e. width, length, corner radius etc. You just can't get it there or at least not economically. "But!! if it was only in two pieces, we could get it around those stairs." Using a "Joined System" will give you that flexibility, and when finally in the Lab, assemble the (2) sections with our Joiner Strip Kit (included) and then attach the legs. Call for freight quote previous to ordering.